Your ability to reinvent businesses on the fly, and keep adapting it to market conditions will define your relevance ahead. 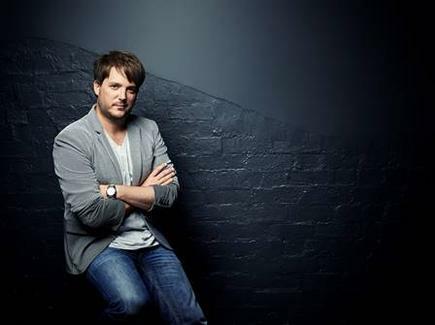 But old world organisations are fighting back and reinventing themselves to prepare for the future, according to technology futurist and digital evangelist, Chris Riddell. 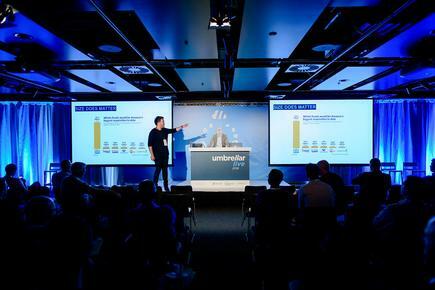 “When big companies behave like startups, we are going to see a new wave of disruption,” Riddell said at the inaugural Umbrellar Live event in Auckland recently. Riddell said organisations that are disrupting are those that are cash heavy, citing Amazon’s purchase of US supermarket chain Whole Foods as an example. The impact of this acquisition on the American retail market was instant, he said. Meanwhile, the prediction that the global retail banking system was going to collapse with the arrival of fintechs and technologies such as blockchain is not true, according to the futurist. Size matters in this new environment, he said. “We used to have lots of choice and more competition, we are rapidly moving to a world where category kings rule,” he said. In search, the only company that matters is Google. In social media, the dominant company is Facebook. “Velocity is the game changer. Speed is the new disruptor in our world. Your ability to reinvent businesses now on the fly, and keep adapting it to market conditions will define your relevance ahead. 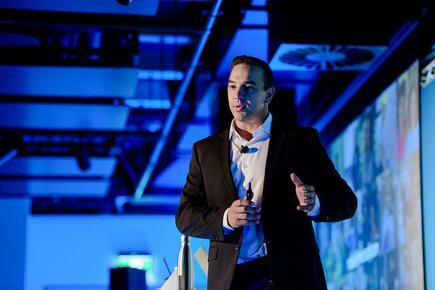 The future is not an extension of the past, it’s the reinvention of everything we see today,” said Riddell. 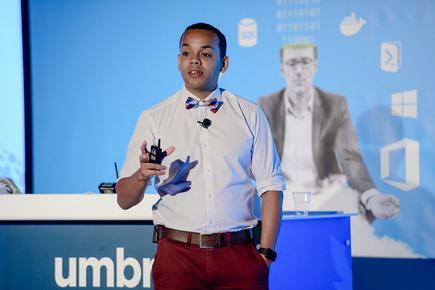 So how can companies reinvent themselves, their culture and begin behaving like a startup? To illustrate, Riddell categorised businesses into banana plantations and rainforests. Banana plantations are ‘big logo’ companies such as banks and telco service providers. Rainforests are where startups and entrepreneurs live, he said. A rainforest is dangerous, you could enter one, get bitten by a snake and die. But you could also find a snake with venom that might offer a cure for cancer. Thus, banana plantations, or big companies, are sending staff on secondments to rainforests, or startups, to bring their culture up to speed, he said. If a large establishment unlocks the secret of behaving in a rainforest, that is the next wave of disruption, he said. “These big banana plantations are going to challenge everything, the structures within their businesses. The next three years will affect the next 100 years; don’t ever think you are in top of your game,” he said. 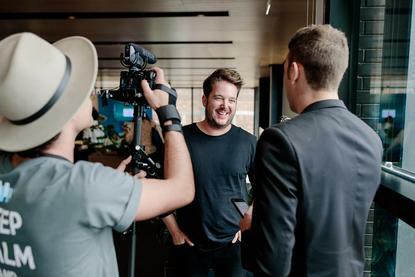 Chris Riddell, technology futurist: "The future is not an extension of the past, it’s the reinvention of everything we see today." 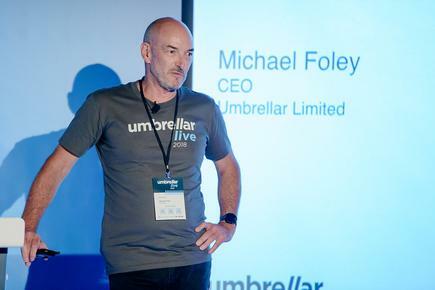 Meanwhile, Umbrellar’s chief executive, Mike Foley, warned organisations not to underestimate how digital disrupts the nature of competition. “Disruption is always dangerous, but digital disruptions are happening faster than ever. 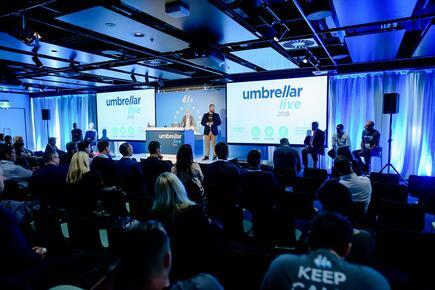 Substantive change doesn’t happen quietly,” he told the audience at Umbrellar Live. Foley cited findings from the McKinsey Digital Global Survey of 2016 and 2017, which found how the majority of incumbents do not respond to digital disruptions and ultimately fail. The survey found that the existing business models of only eight per cent of companies will remain economically viable amidst digitisation. 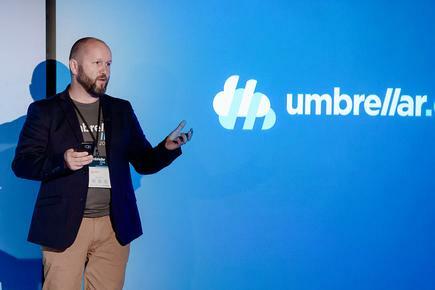 “For us, something fundamental had to change and we are now a digital-first business,” he said. The company redesigned its cloud product lines and now provides a multi-cloud service for customers. 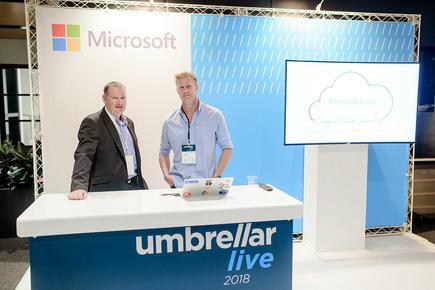 Foley said Umbrellar is using the Microsoft Azure Stack as a catalyst to drive its transformation. “We understood from the get go our transformation has to be way more than putting private cloud infrastructure to the public cloud. 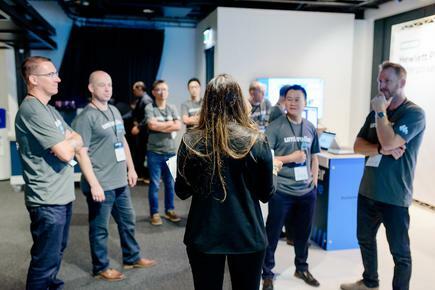 Our secret sauce is the multi-cloud management formula, which is deliberately focused on the success of customers,” he said. Umbrellar has since developed integrated, end-to-end software to drive sales and service insights, eliminate process inefficiencies, and provide more accurate information on how the business is performing. Foley also espouses big picture thinking to ensure large trends are not missed. At the same time, he said, the company finds ways to test and move as quickly as possible to make sure innovations are implemented with persistence. “Think big, act small and go fast,” he said. 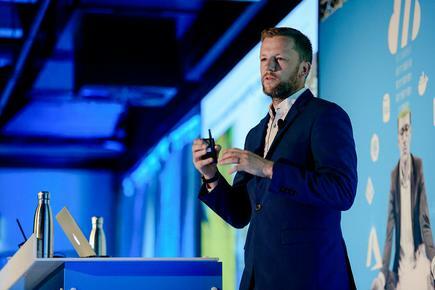 Dr Lloyd McCann, CEO and head of digital health at Mercy Healthcare, spoke about how cloud computing infrastructure is enabling digital transformation across the health sector. Healthcare providers must transform to remain relevant and the health system needs to be more ‘patient-centric’, he said. “Things are changing because of the information asymmetry between patient and doctor,” he said. Because of the internet, nine out of 10 patients go to the doctor and say, ‘this is what is wrong with me’. That was different from how medicine was practiced years ago. “We need to become a value provider, understand outcomes to deliver to patients, and the cost to deliver those outcomes. 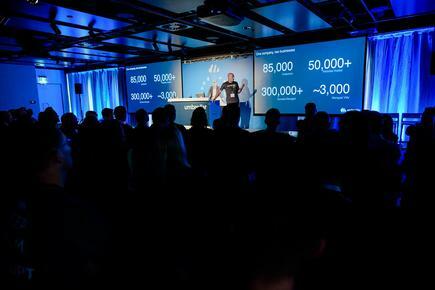 We see cloud as a platform to deliver that strategy,” he said. Chris Morris, vice president, IDC Asia Pacific, cloud services and technology group, talked about the impact of Cloud 2.0 and how CIOs manage IT services. 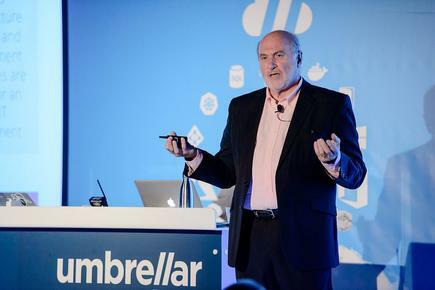 “Cloud 1.0 is vendor and tech driven, we are now on Cloud 2.0, which is user and solution driven,” said Morris. 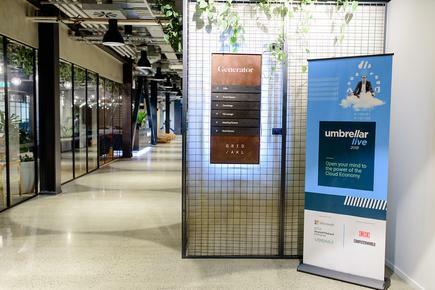 In two years, he said 70 per cent of cloud services providers’ revenues will be mediated by channel partners or brokers. During this time, almost 60 per cent of enterprises will actively participate in industry specific clouds, and by 2021, new data centre buildouts by service providers will outpace enterprise buildouts by two and a half to one. Because of the nature of digital services, many providers will be new type vendors and startups. This presents a different sourcing model for CIOs, said Morris. 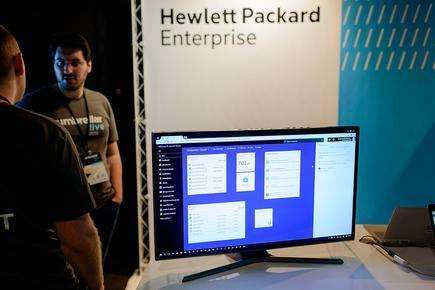 The relationship changes from a quite stable relationship with a provider, for instance, like HP, to moving to solution providers that are more narrowly focused on a business area or vertical. Morris said these new vendors have intellectual property around an industry or a process and build their solutions based on the third platform (IDC’s term for the convergence of big data and analytics, cloud, mobile and social technologies), that might be in a public cloud. “The multi-cloud world is here and it is one of the management challenges to deal with if you are a CIO,” said Morris. CIOs build an architecture for the workload that makes [use of] the best available services from both worlds, public, private and everything in between, he said. For instance, 87 per cent of organisations that have moved workloads from public cloud to private cloud intend to continue their use of public cloud. Thus, hybrid infrastructure sourcing and management capabilities are critical for an agile IT environment, Morris said. 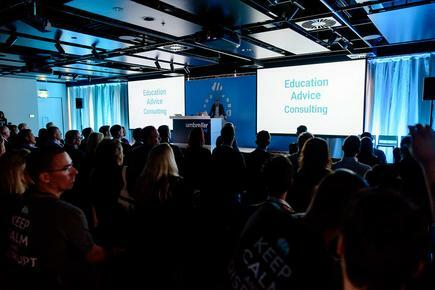 Data rich organisations can monetise their data and create new services that can be sold to others or just use data internally to make better decisions about their businesses, Morris said. “The more we are moving to the Internet of Things environment, we are talking about enormous volumes of data that almost always will be stored in the cloud. If you are a buyer of technology, the opportunities are there too, as you collect more information, you have truckloads of data you have stored. You are going to extract value from that, you can monetise the data and trade that with some of your partners,” said Morris. 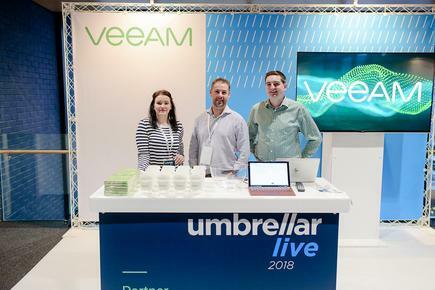 Nathan Steiner, head of systems engineering, ANZ at Veeam, said the goal of digital transformation is to bring innovation to the business. “Everything is always on. Having constant access and connectivity via our devices, 24x7, that is the expectation of users,” he said. Make sure digital transformation is delivering competitive advantage and differentiation. If it’s not, then why are you doing it? But whatever programme or strategy on digital transformation, the first question that should be asked is, "will it redefine the customer, citizen and consumer experience?" He added that it is also critical to assess whether the programme will improve productivity. 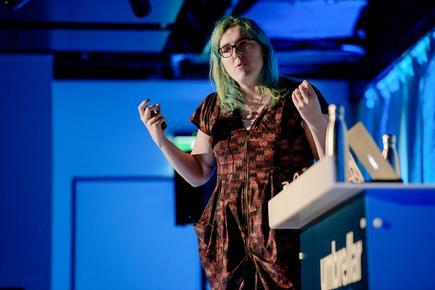 Aurynn Shaw, DevOps infrastructure specialist and founder of Eiara, said organisations need to bring an agile approach to more than technology. “Culture is a result of the choices you made. You ask, ‘is this the outcome I wanted? If not, why did I let this happen? Do my framings match my goals, my actions my intent?’ I am not saying the choices or your actions are good or bad,” Shaw said. According to Shaw, other questions that can be asked are: Is this working, should I try something new? Who owns the deadline? Who gets blamed for failure? “Look at the system that blamed people. If they have been blamed they will not do that iterative model,” Shaw said. 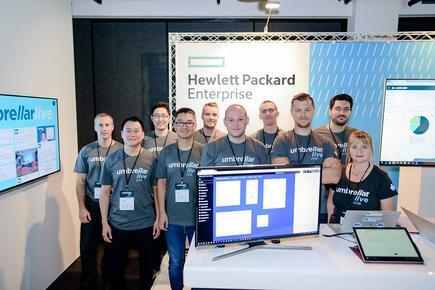 We should stop treating IT like a hospital, where you have fixed outcome, a bit of planning, negotiating, and success is mandatory, the first time, noted Paul Armstrong, business manager, hybrid cloud at HPE. “Everything now is an iterative approach,” he said. This is similar to how children learn. Failure is the worst thing, but we need to re-evaluate it, then iterate, he said.